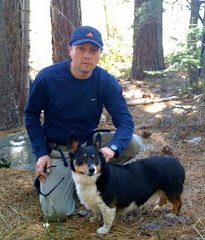 Well, here it is: my first interview with another man who writes historical fiction. 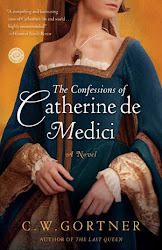 I've had the good fortune to recently correspond with David Blixt, author of the recently-released Master of Verona, a novel of intrigue, passion, and betrayal set in 14th century Italy. The Historical Novels Review calls his debut novel "a mesmerizing tapestry of tales written in five acts. The great poet, Dante, arrives in Verona. His patron is Verona’s ruler, Francesco della Scala. In a fast-moving sequence, Dante’s son, Pietro, follows della Scala into battle against neighboring Padua. It is the beginning of Pietro’s story as confidant, friend, and knight in service of the master of Verona—and as witness to the tragic love triangle of his two friends and the girl they both love. The story climbs to a climactic twist, and Pietro must confront his destiny. " No one says it better than HNS. I'd like to add that David is indeed an accomplished writer, as well as a professional actor. In fact, it's hard to believe this is his first book. He imbues his tale with a wonderful sense of time and place, an innate instinct for dialogue and choreography, and a scholarly attention to detail. 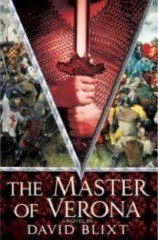 Though Master of Verona is apparently being marketed as an "adventure epic", both its female and male characters spring to life with an individuality and sensitivity that will appeal to all readers. Yes, there are war and fight sequences; but there are also vividly drawn 'quiet' moments. If you're one of the readers who fears our genre might become a frocks and herbs catalogue, you're going to love David. Plus, he has great titles for his subsequent books and he does great interviews. First of all, congratulations on the publication of Master of Verona. 1. Given that you're a professional Shakespearean actor and director, what inspired you to transform the events preceding Romeo and Juliet into a novel? What did you find particularly appealing about this particular era, as opposed to, say, that of Macbeth? It was an idea I simply couldn’t get out of my head. I was directing R&J, and I stumbled across Montague’s line at the very end of the show mentioning his wife’s demise. It struck an odd chord, because it made me ask the question, “Why do we care?” Lady Montague has three lines in the play, all in Act One Scene One. Why does she get the final death of the show? Obviously, Shakespeare was covering for the fact that there was double-casting going on, and the actor playing Lady Montague was now someone else. But still, in terms of dramatic structure it bothered me. A death off-stage is supposed to be symbolic of something, and death is only symbolic of an ending. But the only thing that ends in the show is the feud between the families. So, Lady Montague’s death was symbolic of the end of the feud? Which didn’t make any sense to me, unless she was the cause of the feud. That was the initial inspiration – two friends, in love with the same woman, go to war over her. Research and writing took the story to other places, but that was the kernel. The era? It’s the true birth of the Renaissance! And it’s fascinating to me, because I knew so little about it. Not much is out there – A Distant Mirror, The Name Of The Rose, A World Lit Only By Fire. Besides, Mac has been done – I own two fictionalized versions of his life, and know of two more coming our way. I have nothing more to add to that story – which is not to say that I have nothing to say about other Shakespeare plays. There’s a whole other series rattling around in my head that I’ve begun to do the research for. Maybe after book four of the Mercutio series…. 2. 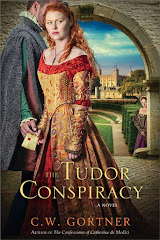 Your novel features characters from Shakespeare's play, one of whom is Lady Montague, Romeo's mother. As a writer, how did you slip into this formidable lady's P.O.V.? Did you find "becoming a woman" easy or challenging? Can you tell us about any methods you used to make her realistic? I actually spend less time in her head than I do inside the mind of Dante’s daughter, Antonia. She’s the child of Dante’s heart, in that she’s the one who can truly discuss poetry and publishing – his world. I’m not sure how to address the idea of entering a woman’s head rather than a man’s – though it’s often my experience that women are more logical thinkers than men. Which is counter-intuitive to the way that society tends to want them drawn, but I think men have more emotional motives than women. They just don’t look at it that way, and rarely are called on it. So Antonia is a very precise, grounded young lady, whereas Romeo’s mother is everything that’s bad about being “emotional” – she’s impulsive, careless, and destructive. But, thinking it over, out of the four major female characters, she’s the only one who is overtly emotional. It’s a hard question, one I’m grappling with. What do I do to write women? Find their motives, same as I would the men. Then they write themselves. 3. Your novel is set in 14th century Italy, a fascinating and complex era. How did you go about recreating this period of time for your reader? Research, research, research – and fingers crossed, hoping I haven’t made any glaring mistakes. An earlier draft of the book was actually a third longer, the whole thing being chock-full of cool historical data. Then my editor, the wise and mighty Michael Denneny, said, “David, you’ve confused what a writer needs to know to write the book with what a reader needs to know to read it – which is much less.” So 110,000 words went away, keeping only the best of the flavor. I’ve tried, also, to keep to themes in both Dante and Shakespeare – both dramatic, and literary. Dramatically, there are chases and duels, intrigue and politics, poetry and base humor. There is also the five act structure, with a major climax happening in the middle of the book, which leads to the fallout at the end. Literarily, I kept in mind that Dante discarded formal Latin for his great epic, choosing instead the vernacular. Also that Shakespeare’s company wore their own clothes for costumes, even in “period” pieces like Julius Caesar. So instead of creating a faux medieval style of speech, I have the characters speak, for the most part, in a modern vernacular. Which isn’t at all unheard of, but a trifle controversial. On the other hand, the customs, styles of dress, forms of combat, menus – all of these are as authentic as I could make them. 4. Historical fiction is considered a predominantly female genre, with a larger percentage of women readers and writers. Male historical fiction writers are therefore often classified within the adventure/epic subgenres. Though Master of Verona certainly contains these "male" elements, its multifaceted depth and emotion will engage readers of both genders. Did you encounter difficulties during the process of publishing this book that you think might be attributed to your gender? Do you think male historical fiction writers need to make an extra effort in order to reach their intended audience? Well, my first literary agent tried to sell it as a romance novel. Does that count? I have no idea how gender has played into the long road to publication. It has never been explicitly commented upon, and until now I’ve perhaps been too blind to see that it might be a hurdle. But the larger problem was me being told that historical fiction was dying as a genre – which is patently untrue, but as long as editors say it, it is true. 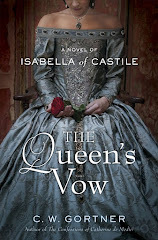 The readers, male and female, are out there, and with the emergence of Philippa Gregory the houses may have realized that historical fiction didn’t die with Patrick O’Brian. Back to the gender issue – I remember once writing a short story for a class about a young colonial girl awaiting her love on a snowy night. Her father had given permission for them to court, and they would spend the night “bundling” – a really sweet practice, where the boy and girl are placed in a bed with a board between them, and the boy basically sleeps in a sack that ties at the throat. In a time when he was needed to work the farm, night-time was the only free time to court. But that wasn’t the story. The story was her, sitting at the window, waiting. It was a tale of anticipation, the moment before. I turned the story in and was asked who wrote it for me. Because it was inconceivable that a guy interested in swords and horses could have written it. So I guess that I have ever balanced my tenderer moments with bouts of blood and manly deeds, just to keep my cred. I can only hope that the themes of misplaced trust, friendship, loyalty, betrayal, and honor will strike a familiar chord with readers. Certainly there are lots of friends who have split over a girl (or a guy). One major theme, and this is from personal experience, is the search for authority. Someone to trust, to believe in. And the disillusionment when that person is revealed as flawed and human. I feel as if America has just had that experience, but instead of learning from it, we’re starting the process earlier than ever to find another authority to put all our hopes into. 6. Can you tell us about your next project? One of them, anyway. 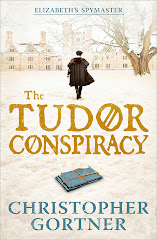 The sequel, currently being passed between editors under the title of THE FALCON’S LURE, picks up eight years after MV, and follows Mercutio as he returns to Verona to take up the title of Heir. That’s done, though, and I’m working on the research for the third novel, FORTUNE’S FOOL. That’s in addition to a tv pilot and another series of novels. Only that THE MASTER OF VERONA makes a terrific gift. Or doorstop. Or object d’art. Seriously. It’s quite pretty. That, and I need to thank my wife, who has been at my side this whole time – or rather, kept me by her side. Talk about inspiration – I breathe because she is here. Thank you, David, for spending time with us. For my readers, know that Master of Verona is much more than a pretty fixture for your library shelf. I'm in the throes of it and have major writer envy. Go out and get a copy. Help this debut writer beat the odds, and prove that when it comes to gender, we afficionados of historical fiction just don't care, as long as the book is written well. 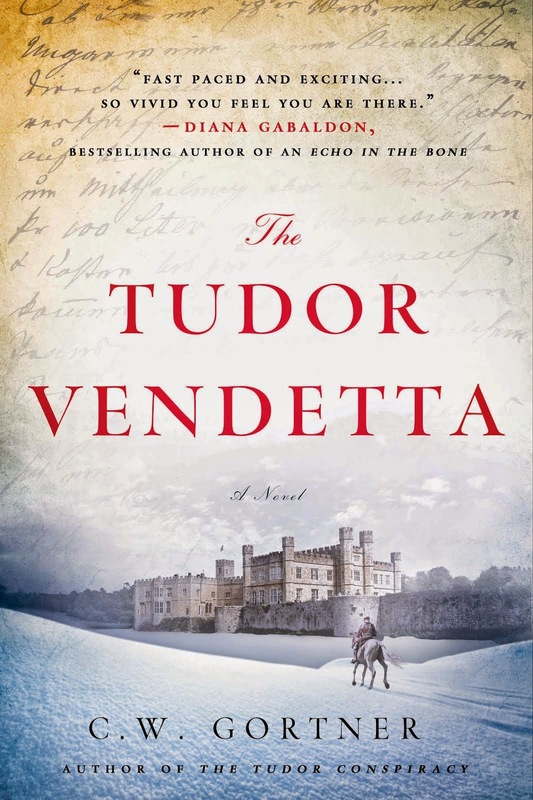 Okay, so you can't say I'm resting on my proverbial laurals, I've just gotten an enthusiastic "yes" from David Blixt, author of the recently released and terrifically engaging historical fiction novel Master of Verona, to be interviewed on this blog. That makes two men writers who've agreed to share their insights and I'm seeking out more. If you want to get to know David before I post his interview, please head over to the indefatigable Sarah Johnson's blog Reading the Past, where she's just posted an in-depth interview with him that offers great insights into him and his work. Thanks, Sarah! 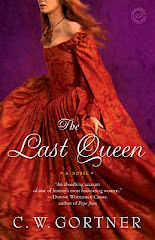 On my front, I'm very pleased (and relieved) to report that my editor at Ballantine Books has officially "approved" my revisions to The Last Queen. To those who might not understand the significance, this means I've entered the final phase toward publication. Acceptance of the revised manuscript was crucial, as the changes my editor suggested were dependant on my ability to implement them. I'm glad to say that, while challenging at moments, the revisions significantly improved the book, not to mention that it was great fun to rediscover the characters while writing several new scenes and revising / altering others. I've since returned to my Catherine de Medici manuscript, which poses its own unique challenges in that I find myself struggling against a word count limit that my book clearly would rather exceed. Nevertheless, the discipline I must exercise in keeping the words under strict control has taught me some invaluable editorial lessons in how not to indulge my near-incontrollable urge to pile on those rampant adjectives and adverbs. 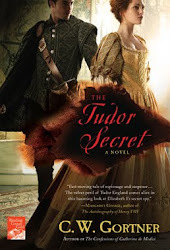 Fellow author Susan Higginbotam (The Traitors Wife) was kind enough to interview me about my work and writing historical fiction on the blog Yesterday Revisted. Check it out if you get a minute. She asked some great questions that really got me thinking about why I write historical fiction. Also, I'm very pleased to report that author John Speed (The Temple Dancer) has accepted my invitation to be interviewed on this blog. I've sent him the questions and hope to post the interview soon, so stay tuned! A few people have written to me via my website asking if this blog will have other male historical fiction authors posting / being interviewed on it. The answer is, yes. I'm currently drawing up a list of writers I'd like to approach and will hopefully in the next few months begin contacting them to see if they're interested. I'm also putting together some sample questions, which I then need to modify to each individual author and his book. So, please bear with me as I get this all up and running. I had no idea blogs got noticed so fast! I was basically toying with this idea and so I'm behind my own idea at the moment, playing catch up. If you have a favorite author you'd like me to interview, please let me know via the comments on this blog. All genders are welcome.